Milt Okun. 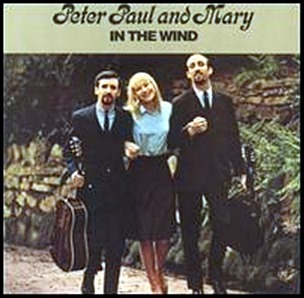 At the “Grammy Awards” of 1964, Peter, Paul and Mary cover of “Blowin’ in the Wind” won the “Best Folk Recording” and “Best Performance by a Vocal Group”. 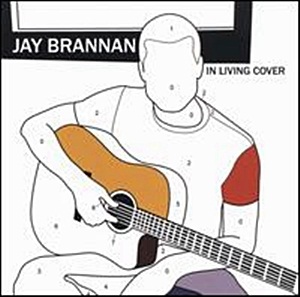 On June 23, 2009, “Great Depression” label released “In Living Cover”, the second Jay Brannan studio album. 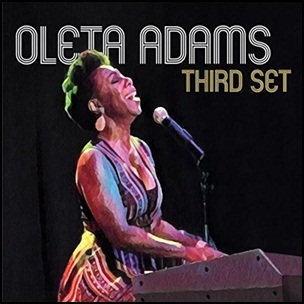 It was recorded in 2009, and was produced by Jay Brannan and Drew Brody. On May 27, 1963, “Columbia” label released “The Freewheelin’ Bob Dylan”, the second Bob Dylan studio album. It was recorded 1962 – 1963 at “Columbia Records Studio A” in New York City, and was produced by John Hammond and Tom Wilson. The album contains thirteen songs; eleven of them are Dylan’s original compositions. The album features some of Dylan’s best known songs like “Blowin’ in the Wind”, which became an anthem of the 1960s, and “A Hard Rain’s a-Gonna Fall”. 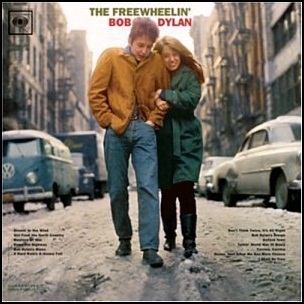 In 2003, “Rolling Stone” magazine ranked “The Freewheelin’ Bob Dylan” at number 97 on its list of the “500 Greatest Albums of All Time”. On December 20, 1971, “Apple” label released “The Concert for Bangladesh” a live triple album by George Harrison and his friends. 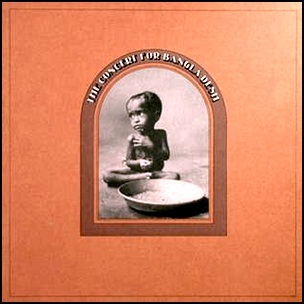 The album is recording from the concert on August 1, 1971, at “Madison Square Garden” in New York, held in aid of the homeless Bengali refugees of the Bangladesh Liberation War. This was the first big humanitarian concert with international music stars and was the model for future big rock benefits events such as “Live Aid” (1985). The album was produced by George Harrison and Phil Spector. The box set included a 64-page book containing concert photos. ”The Concert for Bangladesh” won “Grammy Award” for “Album of the Year”.